Such is the title of a new 2018 article in the Journal of the American Medical Association. Researchers are going to follow the progress of 25 overweight and obese adults as they are randomly assigned to one of three diets: a low-fat, high-carbohydrate diet that’s either high or low in added sugars and a high-fat ketogenic diet. The ketogenic diet may also have less of a negative effect on metabolism than other diets. In one study, for example, metabolism slowed by more than 400 kilocalories per day (kcal/day) on a low-fat diet, but there was no significant decline in the ketogenic diet. 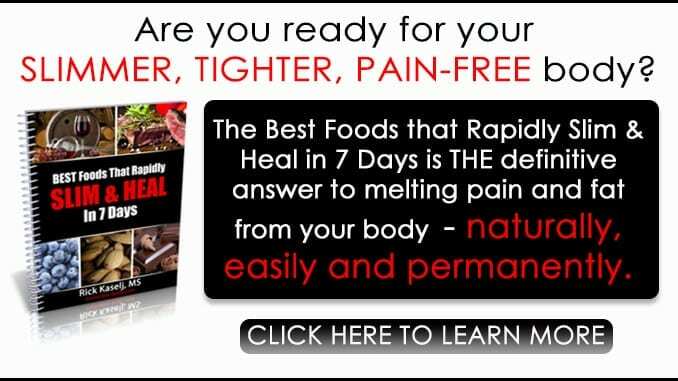 Could this be the diet that might work for you? We looked into the pros and cons to help you decide. Ketosis naturally occurs when the body is short on glucose. The body takes carbohydrate foods like fruits, milk, yogurt, bread and pasta and turns them into glucose for energy. It then uses that energy to fuel your daily activities. As long as there is plenty of glucose available, any fat is stored away for potential future emergencies. If there isn’t enough glucose available, however, the body turns to fat instead. When this happens, the body produces “ketones” as byproducts of that fat-burning process and burns them for energy. At that point, you are in a state of ketosis. Scientists believe our ancestors developed this ability to use ketones for energy because they had frequent periods of time when food wasn’t immediately available. It’s a survival process that helps people get through periods of the low food supply. In today’s world, though, we typically have food available at all times, yet we’ve retained this ability to use fat for fuel when we need to. If we limit the carbohydrates we’re consuming, we can encourage the process of ketosis in our own bodies and inspire our systems to turn to fat, rather than glucose, and hopefully, for fuel, which can help with weight loss. On a typical ketogenic diet, a person avoids carbohydrates, which are found in grains, sugar, fruits, tubers (potatoes and yams) and legumes, and eats more meat, fish, eggs, leafy greens, high-fat dairy, above-ground vegetables, nuts and seeds, avocados, berries and other fats like coconut oil and salad dressings. What Are Positive Things About the Ketogenic Diet? In a ketogenic diet, you cut way back on carbohydrates and make up the difference with fats. In fact, about 75 percent of the calories you consume come from fat, with about 20 percent from protein and 5 percent from carbohydrates. By following this diet, your body goes into a state of ketosis after about three to four days. In yet another study, researchers followed the effects of a longer, 24-week ketogenic diet in 83 obese patients who also had high blood sugar and cholesterol levels. 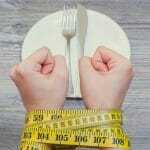 They found that the patients’ weight and body mass index (BMI) decreased significantly. In addition, their total cholesterol levels also decreased and their HDL “good” cholesterol levels increased. Researchers noted that the diet didn’t produce any significant side effects. As shown in the above study, it seems the ketogenic diet may have some other benefits as well, like reducing blood sugar levels and improving metabolic syndrome (a cluster of symptoms including high blood pressure and triglycerides that can lead to heart disease). In a small 2005 study, for example, researchers found that following a ketogenic diet for 14 days helped participants not only decrease their calorie intake and lose weight but also lowered their blood sugar, triglyceride and cholesterol levels. Other studies have suggested that the ketogenic diet may help reduce dangerous belly fat, which has been linked to an increased risk of cardiovascular disease. Participants on the diet experienced greater overall weight loss than those on a low-fat diet, but also significantly reduced so-called “trunk fat” or belly fat, at a greater rate than what would have been expected from the weight loss alone. We have other research suggesting that when you’re on a ketogenic diet, you’ll be able to burn more fats when you exercise. It makes sense since you have less glucose available for energy, but researchers have confirmed it in studies. In 2016, for example, they found that compared to marathon runners on a high-carbohydrate diet, those consuming a ketogenic diet had “extraordinarily high rates of fat oxidation,” with no significant differences in recovery rates. How much fat do you burn when you’re just resting? Studies have found that you may burn more when you’re on a ketogenic diet. They divided 40 overweight people into two groups and fed one a low-calorie Mediterranean diet, and the other a ketogenic Mediterranean diet. Both diets led to weight loss, but the reduction was greater on the ketogenic diet. In addition, the ketogenic diet led to an increased use of fat at rest. Better yet, the results lasted for up to 20 days after the participants went back to their normal diets. The ketogenic diet has also been used for decades to help treat epilepsy in people who don’t respond to epileptic medications as it can help reduce the frequency of seizures. Researchers are also looking into whether the diet might help improve other related disorders, like Parkinson’s disease and multiple sclerosis. All these results sound great, right? 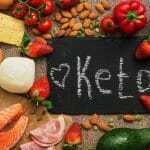 It would seem like everyone should try the ketogenic diet to lose weight and enjoy better health. 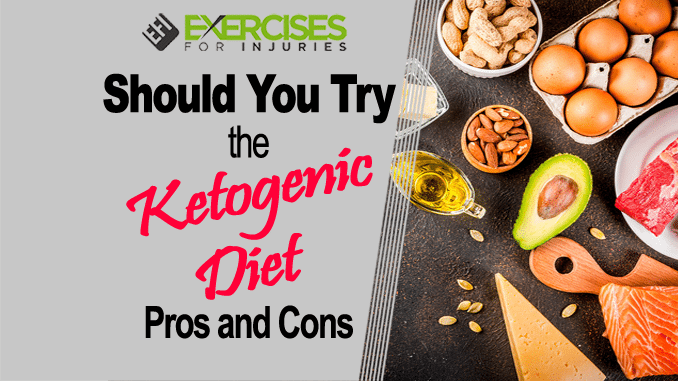 There are potential negative outcomes of a ketogenic diet, however, ow which you need to be aware. Ketones are naturally acidic, and if you build up too many in your system, your blood could become too acidic, which is a dangerous state. People with diabetes are already at risk for this outcome, which can occur when they don’t get enough insulin or aren’t drinking enough fluids. Symptoms include extreme thirst, frequent urination, nausea and vomiting, stomach pain, fatigue, shortness of breath and a fruity-smelling breath. That means this diet could be dangerous for those with diabetes. People without diabetes can suffer from ketoacidosis when consuming a low-carbohydrate diet too, although it is a rarer occurrence. 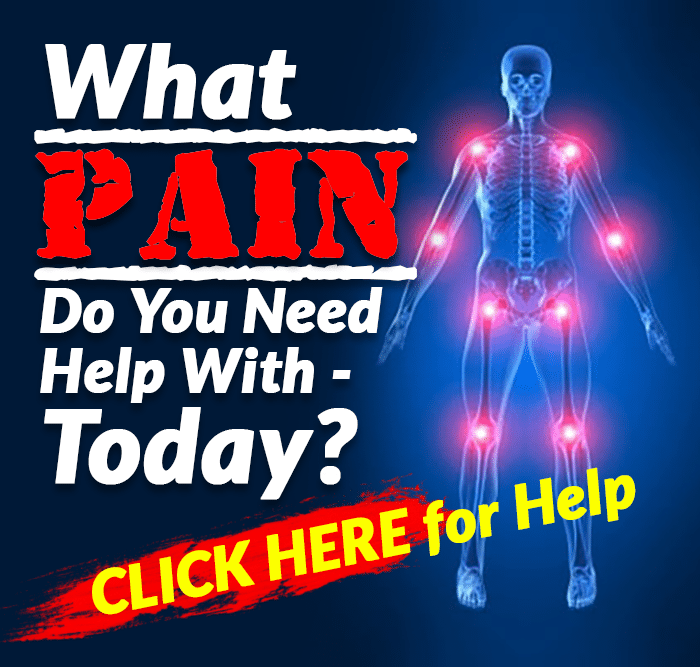 In 2006, researchers reported on a case study of a 51-year-old woman who maintained a ketogenic diet and ended up in the hospital four times until doctors encouraged her to eat carbohydrates again, after which she recovered. Keeping ketones under control is one thing those on a ketogenic diet have to be careful about. There is a line between a “healthy” state of ketosis and a dangerous state of ketoacidosis. Usually, in ketoacidosis, the level of ketones is three to five times higher than in ketosis. That’s why the diet allows for a small number of carbohydrates — to keep ketone production from getting out of hand. People on the ketogenic diet are also wise to test their ketone levels regularly either with a blood ketone meter or urine test strips, although the strips can become less accurate the longer you’re on the diet. There are also breath meters that can measure the ketones in the body. Since the diet includes a lot of fat and few grains, it tends to be a low-fiber diet, which can cause digestive problems — most commonly constipation, although bloating and diarrhea may result, too. This lack of fiber may also have other long-term health consequences, but we don’t have enough long-term studies to be sure. Meanwhile, do your best to choose high-fiber foods on your diet and consider taking a fiber supplement. Although most advocates of the ketogenic diet recommend consuming healthy fats, some people end up eating too much butter, fatty meats and cheese, which may cause other long-term health issues, including heart disease. Those trying the diet should be sure to choose healthy fats like those in nuts, avocados, fatty fish and olive oil. Because the diet is quite restrictive, there is a risk of nutrient deficiencies. 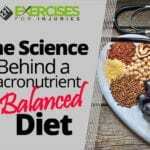 That’s why most ketogenic advocates recommend supplements while you’re on the diet, starting with a quality multivitamin or mineral supplement. Check with your dietician to find which ones are best for you. Most people don’t stay on the ketogenic diet long-term because it’s so restrictive. When you go back to your usualeating habits, you may regain some or all of the weight you lost. If you’re not planning on staying on the diet long-term, you have to be careful of this as you could end up in a seesaw process of losing and regaining the weight, which has shown in most studies to be more dangerous than maintaining a single weight. We still need more research on maintaining weight loss following a ketogenic diet. Some research shows that cycles of brief ketogenic diets followed by longer periods of the standard Mediterranean diet can help maintain weight loss. You can also ease yourself back into your standard diet, increasing your carb intake bit-by-bit so you can keep your intake at a moderate level.